KNOXVILLE, Tenn., Dec. 3, 2018 /PRNewswire/ — ZDi Solutions, LLC announced today that Mitch Steenrod has joined the company as an investor, advisor, and chairman of the newly seated board of directors. Steenrod offers more than twenty years of diverse management and accounting experience, including in-depth financial analysis, strategic planning, agreement construction and negotiation, and budget preparation for two of the largest public and privately held companies in the country. “I have known Mitch a long time, and there isn’t anyone I know through business that I respect more,” said ZDi Executive Vice President Tim Sykes. After the company’s formation in 2001, Steenrod held various leadership positions at Pilot Flying J, where he served as senior vice president, chief financial officer, and chief risk officer. Between 2009 and 2010, Steenrod played an integral role in efforts to merge Pilot Travel Centers LLC with Flying J Inc. As a result, the company’s travel center network expanded by more than 75 percent. Today, Pilot Flying J is the largest operator of travel centers and travel plazas in North America. To his new role with ZDi, Steenrod will also bring a 12-year record of success in the accounting division of Marathon Oil Corporation, a Fortune 100 company. There, he focused on corporate growth as well as the refining and marketing component of the business – expertise that eventually led him to become the manager of pricing and product acquisition for Speedway SuperAmerica LLC (now Speedway LLC). In that capacity, Steenrod was responsible for the sourcing of three billion gallons of fuel annually, in addition to the year-round management and oversight of a pricing call center. In 2011, Steenrod joined the board of directors of CarMax, Inc., a Fortune 500 company and the largest used car retailer in the United States. Deeply committed to the Knoxville community, Steenrod also shares his expertise with several local organizations. Currently, he serves as board member for the SunTrust East Tennessee Market Advisory Board, the Helen Ross McNabb Center Foundation, Zoo Knoxville, and the University of Tennessee Finance Department Advisory Council. 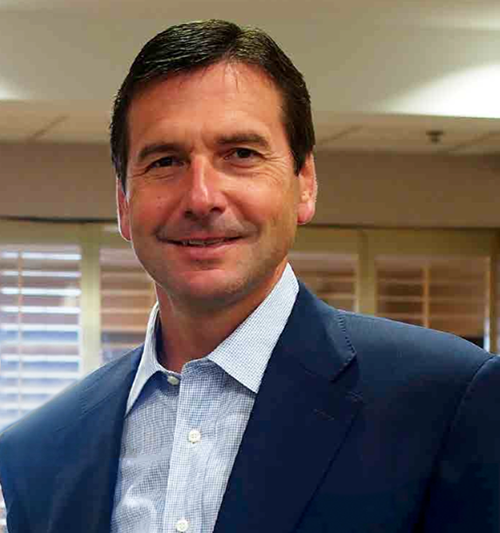 In addition to these appointments, Steenrod previously served as a board member for Covenant Health, the largest non-profit hospital organization in Tennessee. Steenrod’s continuous support of businesses in the field of medicine and healthcare is significant personally and professionally. As chairman of the board, Steenrod will lend crucial insight to ZDi during a pivotal moment in the company’s history. Headquartered in Knoxville, TN, ZDi Solutions, LLC is an innovate patient positioning and immobilization device manufacturer in the radiation oncology market. The company has developed a line of unique, patient-centered products that allow the proton therapist to more efficiently and precisely prepare patients for different modalities of imaging and treatment. The Z-System™ device increases the accuracy and consistency of the patient’s position in an effort to reduce risk during cancer treatment. The devices also decrease liability for facilities, while providing better patient outcomes. More information about this breakthrough technology can be found at zdirad.com. For an inside look at the company’s work, check out ZDi Solution’s Facebook page.